Picture of toilet bowl and hole on the tile. We are trying to find a slab leak. Camarillo-Plumbers.com is your full service plumbing company. We service Camarillo and surrounding areas. 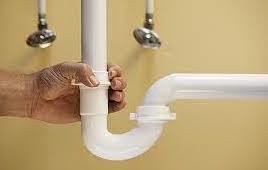 Need a plumber now call us we can be at your house in a matter of minutes. Camarillo Plumbers your one stop shop for all of your plumbing needs! ​Whether you are searching for Plumbing in Camarillo, Camarillo Plumbers, Water Heaters, hot water heaters, tankless water heaters, gas water heater, local plumber, plumbing companies, drain cleaner, plumber, emergency plumber. We re the no one source for ALL of your plumbing needs. Call us today! We want to be the plumbing company you call for your drain cleaning, replace your sink, your faucets or shower head. ​We can remodel your bath and kitchen with new faucets, shower heads, shower enclosures, sinks, tubs and toilets. Modernize your home give us a call and start enjoying your new bathtub. We are one of the most affordable plumbers in the area. Give us a call for a free estimate on the remodel or your kitchen or bathrooms. Shower head with water coming out of it. We offer shower head replacement. We can install a state of the art shower head with massage capabilities. Shower head replacement is one of many plumbing services we provide. We have a large selection of new model shower heads as well as the latest and in faucets for your kitchen and bathrooms. Camarillo Plumbers is ready to do all of your plumbing jobs. No job is too big or too small! We proudly serve Camarillo and surrounding area we are licensed and insured and can handle from a small clogged drain to the repiping of your entire house or commercial building. We can maintain your property, your home or your business. Feel free to give us a call and get a free estimate on regular maintenance. We know you have choices for Plumbers in Camarillo. However, we want to be your number one choice. Camarillo Plumbing is as competitive as any other industry, you have Richco that have been around for some time and we understand that it will take time to build trust in the community. Have a clogged drain? don't know what it could be? Sometimes it's just build up from constant use especially if your home is older. We recommend periodic jetting to avoid a disaster. What I mean is that when water backs up it will create a big mess it will go into your kitchen cabinets, flooring and walls and it will become BIGGER and more expensive plumbing problems. To prevent this from happening give us a call and have us jet-out your lines periodically. When you have a back up in your lines and the water intrudes into your wood cabinets, wood floors, drywall, carpeting and baseboards the expense to have us clean your lines is a fraction of what you would spend to replacement all of the damaged caused by the water. If you don't replace the wet materials immediately you have the potential for mold build up which is another set of problems. Give us a call if you have not had your lines serviced in the last couple of years, It will save you time and money. Have you ever heard of someone coming home from being away all day or several days and their home is flooded due to a water leak? We handle at least four of these calls a year. The damage is mind boggling. We can't live without water but it can also be your home's worst enemy. Camarillo Plumbers can inspect your water lines to ensure they are clear and draining properly, we can also inspect your water supply lines and check for wear and cracks. It's easy to inspect your water faucets and plumbing under your sinks, your shower heads and on and off valves but the plumbing behind the walls and beneath the floors is not. We use state of art technology to inspect the hidden water leaks and sewer lines problems. and we will detect the leak! Slab leaks can cause damage to your home, the sooner you identify the leak and repair it the better for your home and your wallet. Pinhole slab leaks, recently we were called in to look at a water leak coming out from underneath the toilet, we thought it was the wax ring, we replaced the wax ring and the water leak did not stop, we thought it was a cracked toilet but as we continued to inspect the area around the toilet we heard a bubbling sound and notice water coming from under the ground. This was due to a pinhole leak in the plumbing underground. We take our time, evaluating the water leak this was the key to finding this slab leak. We are never in a hurry whether we quote you a flat fee for a plumbing job or hourly fee we treat every plumbing job with a great deal of care. This pinhole slab leak wouldn't have been found if we hadn't taken our time. We are trained and are knowledgeable in all of areas of plumbing. 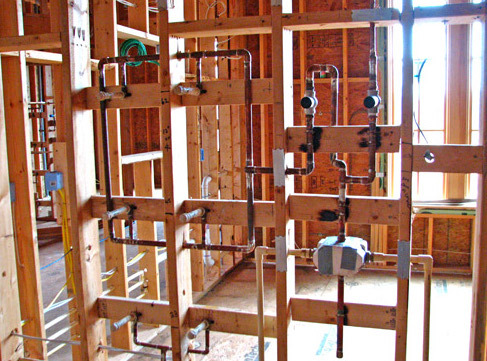 We know Camarillo has older homes and are familiar with the plumbing layout of most homes. You can trust our plumbers that they will not misrepresent the information given to you, we do our best to get the plumbing problem resolved the first time, if we don't and it was our fault we will repair until we get it right at no extra charge. We know plumbing can be a bit of a mystery at times as there may be a lot of unknowns however, we try to eliminate the mystery and will give you a full clear picture of your plumbing problem. Our staff has been trained to be a transparent, we will tell you exactly what it will take to get your problem solved. We are just like when it comes to cost we want to know how much something is going to cost before we commit, this is why we will always tell you how much it will cost before we work on your plumbing problem. ​Ask about discounts for military and the elderly if you are one of these please mention it to our office staff so they may adjust your bill! ​Camarillo Plumbing services include all of the following and most common calls we get: Plumbing Drain Clean out, Toilet leaks, Faucet Leaks, Shower head leaks, kitchen sink leak. Our Kitchen Sink see a lot of actions on daily bases. It's no surprise we get calls to either replace kitchen faucets, garbage disposals and kitchen drain clean outs. Camarillo Plumbing and it's Plumbers know how to handle these simple but important problems. Give us a call today for a free estimate! Plumbing for swimming pools- We can handle all plumbing including replacing or repair your swimming pool plumbing give us a call for an evaluation. Repiping is a big expense, before you decide on repiping your entire house, let us take a look at it. We can tell you up-front what the cost will be and if there's an alternative way to go. If repiping is the only way to go we will let you know of all the new ways to get the job done to insure you get the proper material and most recent techniques to save you time and money. So, before you commit to spending thousands of dollars on repiping your home give us a call, you'll be glad you did. Is it time to replace your water heater? Don't wait to change your water heater if you do it could cause damage to your home if you have a water leak. Camarillo Plumbers suggests replacing your water heater before it's too late. 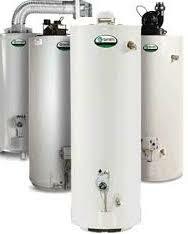 Call us and we will give you a free quote and evaluate the condition of your water heater. Even if it's not leaking it could be time to replace it. Electric water heater last between 8-10 years while gas water heater last 6-8 years. 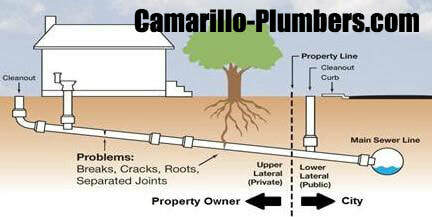 Camarillo Plumbers is a company based on referrals we will do our best to give you the best service at the best price. We are here to stay and we do not want to compromise our reputation with mediocre work. We want's you to be 100% satisfied with all of your plumbing work, we want you to refer us and to call us back to repair all your plumbing problems. To that end we will do everything in our power to keep you happy. We know you have choices and you can call our competitor and we appreciate you calling us and value your business. If for some reason you're not entirely satisfied with our plumbing work give us a call and we will do everything in our power to satisfy you! We want to encourage you to give us a call so that we can inspect your Plumbing. If you live in Camarillo and you have not had your plumbing checked in the last two years give us a call we do preventive maintenance to prevent plumbing disasters. Camarillo Plumbing in older homes is galvanized and galvanized is plumbing has a higher percentage of rusting. If you have galvanized plumbing it's a matter of time before you experience problems, don't wait. If you have a plumbing job that someone else started and did not finish? Give us a call. We recently took over a plumbing job in Camarillo that another plumbing company started and did not go back nor are they calling these customer back. We will take over and will credit whatever they have charged you to make it a fair deal for you. So give us a call and we will take care of you. (805) 507-7080.